Recently, I had the opportunity to speak with Julian Box, CEO of Calligo Limited. Calligo is an upcoming cloud provider based on the Isle of Jersey in the Channel Islands off the Coast of France. Many people think that doing business in the Channel Islands means tax-shelters and nefarious characters. Some of this may be true, but from a cloud perspective, there are many valid business reasons to move data offshore, especially for those firms in the financial services that need what Calligo refers to as Global “data safe zones”. Data safe zones are how Calligo guarantees data residency in territories with strong privacy and data protection laws with stable governments – basically ensuring data storage failsafe/redundancies between each zone. Although not a truly novel architectural concept, their safe zones reside in top financial zones like Jersey, Guernsey, Isle of Man, Cayman Islands, Bermuda, and Switzerland – and soon Singapore and Mauritius with operating bases planned in the US and UK (all places this humble analyst would like to holiday). Data Residency is important for Financial Services, Legal, Insurance, and Governmental agencies moving to the cloud. Physical security, control over where the data resides, and a shared infrastructure are also major factors when choosing an offshore cloud provider. 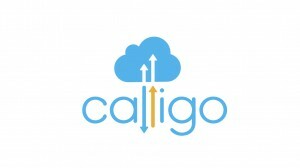 From a service offering, Calligo is not unlike other Cloud providers. They offer a full suite of IaaS, SaaS, and PaaS services. However, Julian explained their differentiation from larger providers is their proprietary onboarding solutions and ability to understand their customer needs due to their niche focus and domain expertise in the markets they serve, especially finance. Calligo has done a very good job of vetting and focusing its customer outreach vertically with their top executives driving the sales process. Logical customers for Calligo include; Bitcoin Providers, Banks, Hedge Funds, Law Firms, Local Governments, etc. From a product perspective, Calligo delivers a suite of Infrastructure as a Service product that include; infrastructure, disaster recovery, desktop as a service, and back-up. On the SaaS side Calligo offers File Sharing, Financial Apps, and Hosted Exchange. Calligo’s Platform as a Service includes container technology using Docker and a core set of ISV tool sets and services. Unlike AWS, Microsoft, Google and other larger cloud providers, Calligo is in a unique position to be one of the few providers that has the performance guarantees to support mission critical workloads. Many large cloud providers cannot easily provide the Service Level Agreements (SLAs) to get around poor application performance, reliability, speed, control, etc. Smaller, more agile providers that have better tools for monitoring their environments are better suited for these types of services. Finally, one of the most impressive aspects of my conversation with Calligo was the solution they have developed in-house to help develop the right cloud strategy and roadmap for each customer called CloudAnalyser, and a full cloud management portal called CloudCentre, which provides self-service and automated infrastructure provisioning with an offshore SaaS marketplace. Included in the system is an in-house ticketing & billing system, as well as a service catalogue (all are required for their ISO certifications). While the offshore approach may not be for everyone, Calligo has built a high-touch service, horizontally and vertically integrated solutions, and an ever-expanding footprint. 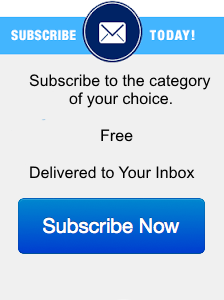 They have identified a niche and are exploiting it aggressively. One of the challenges Calligo will find is a lack of born in the cloud and datacenter knowledgeable talent in the geographies they serve. However, as they expand their data center, partners in these geographies will eventually get them over the hump. We at Moor Insights believe the market is evolving where a new breed of cloud service providers will focus on providing vertically aligned solutions starting with; Financial Services, Government, Retail, Manufacturing, and Energy/Utilities. These providers will tell a more strategic story and eventually provide mission critical functionality that will put market pressures on larger “rent-a-nything” service providers. Calligo is positioned to be a key player as a Cloud Provider for the global financial services market.